Chen Hengke began his career as a pupil of Wu Changshuo (1844-1927), a painter renowned for his interest in ancient calligraphic styles. The present calligraphy, in the style of oracle bone script of the Shang (c. 1600- c. 1050 BC) dynasty, is possibly inspired by his teacher. 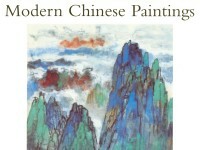 Trained in Japan, Chen Hengke was a traditional ink painter and art critic. He began his career as a pupil of Wu Changshuo (1844-1927), a painter renowned for his interest in ancient calligraphic styles. The present calligraphy combines the styles of oracle bone scripts of the Shang dynasty (c. 1600-c. 1050 BC) and the bronze scripts of the Western Zhou dynasty (c. 1050-771 BC).